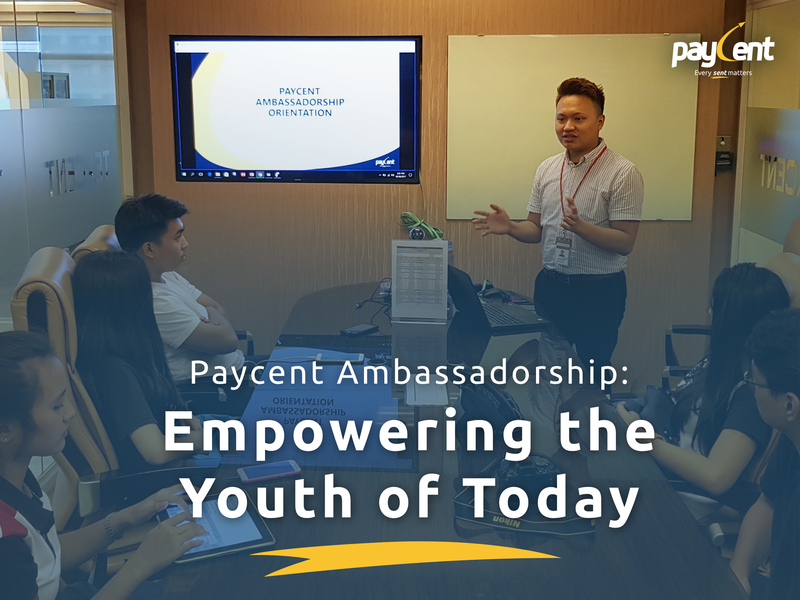 Paycent, a financial platform which aims to be the global leader for complete mobile and cashless transactions, began its journey in inspiring the youth to be a part of something bigger. It offers both users and merchants a secure and convenient digital payment platform so people can send and receive funds, shop, and pay bills without using actual cash or credit cards with competitive transaction fees. Recently, Paycent held an event for the youth to start their financial journey. Coined as “Paycent Ambassadorship”, the goal of the orientation is to empower the youth financially, to be ambassadors of Paycent and to acquire merchants. This is a means of giving back to the community through golden opportunities of financial empowerment. Paycent Ambassadors is defined as people who can help build the Paycent eco-system by reaching as many people as possible. These people will represent Paycent, to foster strong and loyal relationships with customers. As Paycent will launch this August 2017, having ambassadors on board will benefit both parties as merchant acquisition will be faster. As for the youth, they will continue to have extra income with every merchant deal closed. Paycent invited students from Colegio de San Juan de Letran where an app demo had been conducted by one of the Paycent experts. The demo included discussions about the upcoming app, history of the Financial Technology industry, introduction to mobile wallets and the process of becoming ambassadors. After the orientation, the students began participated in an open discussion. “We’re very interested. We’d like to admit that we like to do things the easy way or with just a few taps. And this app does just that.” Irene Hill, one of the students, gave her feedback after the demo. The students were able to see the benefits of having Paycent. Their parents will be able to pay for their tuition fee at the comforts of their home and the students will be able to pay for goods and services by just using the app. No need for actual cash or credit cards. There are still many events to come for Paycent as its date of launch is just close by. If you want to be part of Paycent Ambassadors, you’ll be relieved to know that this is just the first of many orientations lined up in the future. Potential Paycent Ambassadors should stay tuned for the app and for the next orientation to come!